An estimated €231 billion is spent annually on energy efficiency (EE) investments - but tapping the full potential of EE will require at least four times as much investment. This finance gap is slowing down the energy transition we need. As it is, global energy intensity - a measure of the energy efficiency of a nation's economy, calculated as units of energy per unit of GDP - was 1.8% in 2015, three times greater than the 2003-2013 average, but still falling short of the required 2.6% to avoid the 2 degrees rise in global temperatures scenario, or the necessary increase of 3% in the efficiency of our energy usage. Though recent months have seen some steps in the right direction, whether through the launch of the Energy Efficiency Finance Task Group (EEFTG) at the G20 in Hamburg, or the recent signing of the Taskforce for Climate Related Financial Disclosure (TCFD) by 103 chief executives (which calls for the development of consistent climate-related financial risk disclosure and reporting), not enough is being done to redeem this gap. This is the era of cheap and plentiful finance - so why is there still a finance gap for energy efficiency? The inadequate accounting of externalities and barriers partly explains the tenacity of this gap. Subsidies for renewables and fossil fuels, as well as the absence of a carbon price that could account for environmental externalities, insulate consumers from full energy prices. These structural conditions prevent consumers from making informed decisions (Money Honnie, Badre 2017). On the other hand, the intangible and comparatively small nature of EE assets and projects discourages traditional bankers and investors from dipping a toe into this area. The elusiveness of EE benefits is a significant drawback to potential investors. Contrary to other investments, energy efficiency cannot be directly measured in terms of incremental physical production. Rather, it is measured as a saving or reduction against a baseline of consumption or expense. The result is perceived complexity, which manifests itself in requirements for monitoring and verification to confirm the savings and higher transaction costs (Money Matters). These technical realities underlying EE investments result in investors demanding an implicitly higher rate of return to offset the perceived higher risk of EE projects. These factors often have a reinforcing effect; the risks, both real and perceived, associated with EE projects explain the remaining EE financing gap (Energy Revolution). Over two-thirds of our efficiency potential is still untouched. In addition to putting the brakes on the curbing of our carbon emissions, this dormant potential means significant employment and economic markets are being overlooked. In the construction sector, for instance, 80% of EE potential remains; public building renovation in the EU alone, represents a €120 billion market over the 2017-2020 period. In France, the estimated market is around €30 billion over the next 10 years, and could create up to one million jobs by 2025. We need financial innovation and creativity to unlock EE investments and to grasp these employment and growth opportunities. Could blockchain be the answer? 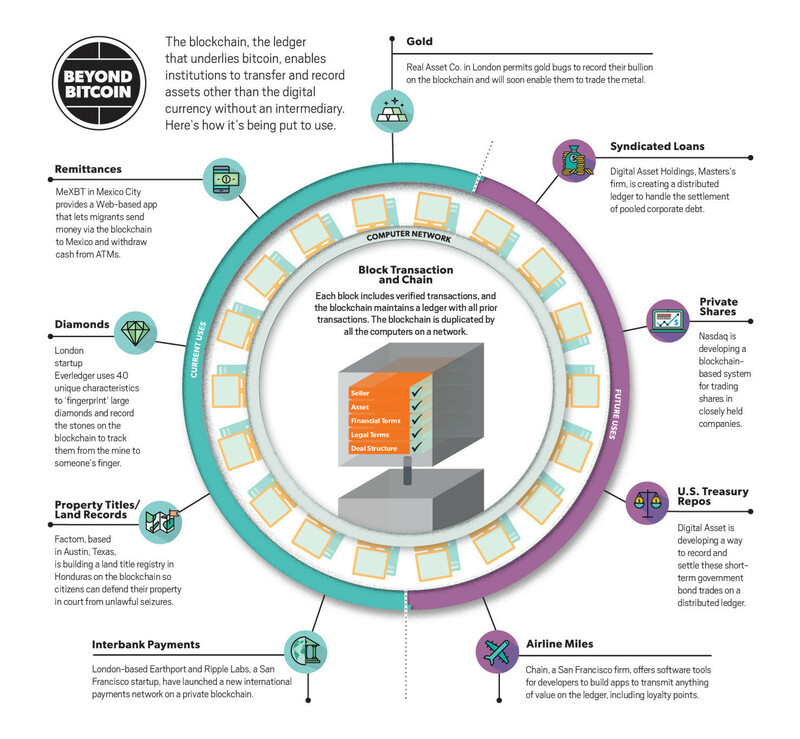 Blockchain is a distributed, digital transaction technology that permits the secure execution of smart contracts over peer-to-peer networks independently from a central authority such as banks, trading platforms or energy companies/utilities. Other participants in the network act as witnesses to each transaction carried out between a provider and a customer; these are stored permanently on a digital ledger - the blockchain - which is duplicated by every computer on the network. In the transition to a new energy world - decentralised, digitised and decarbonised - several use case applications have already been developed using blockchain technology, such as automated bill payments, electrical vehicles charging and sharing, and renewable cryptocurrencies. Moving beyond bitcoin - the cryptocurrency most people associate with blockchain - the technology serves as a smart transaction platform at a systematic level that gives rise to true 'prosumers': as well as consumers, households also become producers and sellers of energy with a high degree of autonomy. Utilities and grid operators become more efficient by being able to balance supply and demand in real-time by engaging these prosumers directly. It supports renewable energy integration into the grid in a cost-effective fashion. 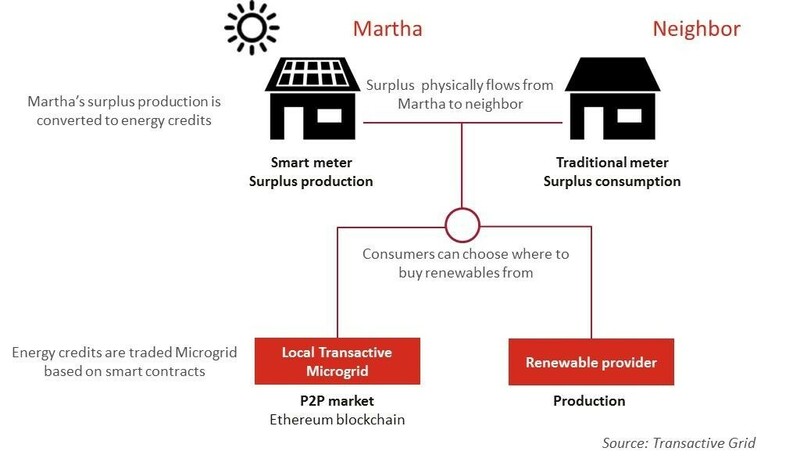 In New York, a small energy company together with a technology company have developed a microgrid project in which neighbours can buy and sell solar power from each other on a blockchain platform called ‘TransActive Grid’ that documents all transactions. This independent and isolated network solution offers both cleaner and more resilient energy access to its users through its embedded battery storage units. This project has led to the emergence of true ‘prosumers’. To-date, more than 130 homeowners with or without solar photovoltaic (PV) systems are already buying and selling power from each other through this platform. In May 2017, several companies joined forces to manage electricity grids in the Netherlands and Germany. The renewable energy company Vandebron will work with customers who own an electric vehicle to make electricity from their car batteries available to the grid in order to help the Dutch national grid operator TenneT better integrate increasing amounts of renewable energy. TenneT is using innovative IBM blockchain technology to manage this electricity grid. In the future, blockchain technology could allow millions of energy devices such as water heaters, electric vehicles, batteries and solar PV installations to transact with each other at the electric power distribution edge. The evidence suggests that targeting the risk perception of investors through a variety of instruments is successful in scaling up EE investments. The blockchain peer-to-peer model, which is built on the trust engendered by its permanent and unfalsifiable digital ledger, is a creative financial tool that can help overcome this perception of risky EE transactions. In the pilot cases implemented to date, more than half of which have been in Europe, blockchain has proven to be a huge cost-saver and efficiency-enabler. By letting go of intermediaries, blockchain transactions lower costs, speed up processes and result in greater flexibility throughout the entire system. It leads the way to a systemically more efficient, flexible and decentralised energy system. The United Nations Climate Change (UNFCCC) recently recognised the potential of blockchain to boost climate action. Its transparency, cost-effectiveness and efficiency advantages can lead to more effective stakeholder integration to take concerted actions. The technology is not yet mature, but is growing fast. It might take five to 10 years before the technology reaches mainstream adoption. Yet it paves the way to an acceleration of energy system decentralisation and the emergence of prosumers, where individuals can adapt their behaviours according to real-time data, and a consequential increase in the overall energy system efficiency. The total value of assets now being administered via blockchain over the world is already over $1.6 billion, and grew by a staggering 1,600% between 2013 and 2016. Over $1.4 billion was invested in blockchain-related startups in the first nine months of 2016 alone. Can we deliver on the promise of energy efficiency? Actions that we take in the coming five to 10 years will lock us in for the next 50. The costs of inaction are rising yearly, with associated economic and humanitarian consequences. Natural disasters already cost over $500 billion a year worldwide and push an additional 26 million people into poverty every year. There are 65 million refugees in the world today, 20 million of whom exist thanks to climate change. Should countries not respect the Paris Agreement, South East Asia could become inhospitable to humans by 2100; one-fifth of the world's population lives in this region. Sea levels could also rise an estimated 2m by 2100, leading to waves of refugees as two-thirds of the world's population live in coastal areas. Energy efficiency can account for half of the solution to limit the rise in global temepratures to 2 degrees. Though cost-effective, however, its wider application is still hindered by obstacles. Through its transparency, peer-to-peer dimension, trust basis and growing potential, blockchain can smoothen and accelerate EE investments. Governments should encourage its rise. At the G20 this year, President Macron announced a December 2017 Summit dedicated to Climate Finance. It is a great opportunity for France, Europe and the World, to further analyse and promote blockchain’s potential in accelerating climate actions.